Congratulations are offered by Gardenex to garden metal storage building manufacturer, Trimetals, and plastic planter company, Strata Products, on their successes in the recently announced 2016 Queen?s Award list. The awards, which are in the International Trade category, are the most prestigious awards a UK based company can win. The two Gardenex-member companies both acknowledged the important role played by the Federation in helping them to increase sales to overseas markets. Among the international trading strategies cited by Trimetals in its award application was the company?s membership of the Gardenex export federation. Through its membership, Trimetals has received extensive overseas market research and sales leads that have driven export sales over a number of years. Trimetals has also been a regular exhibitor in the Gardenex-organised pavilions that have exhibited at spoga+gafa in Cologne. In conjunction with Gardenex, Trimetals has also attended six UK Trade and Investment missions to Japan and has exhibited its products at a number of shows in Tokyo and other major Japanese cities. Trimetals now exports its products worldwide with its top markets being France, Japan, Germany, the US and Holland. 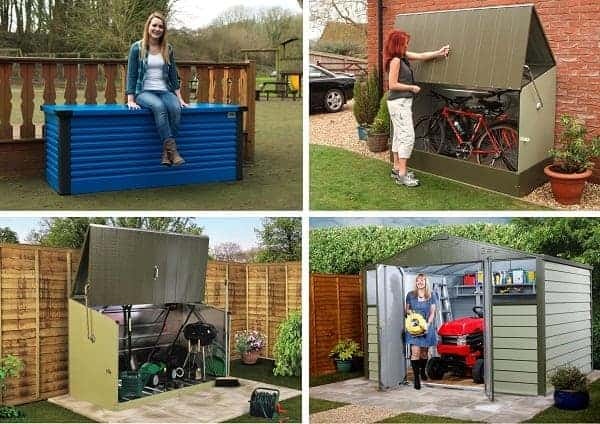 A diverse range of products covering the complete range of metal garden buildings and bicycle storage solutions is sourced by the company?s overseas distributors. Trimetals was formed in 1967 and launched its first garden store in 1985.? The company?s metal sheds and garden storage items are the only ones approved by the Royal Horticultural Society.? With both home and export markets growing steadily, the company is confident that it will achieve its target to double turnover over the next five years. Commenting further on the role of Gardenex, the Trimetals general manager, Ben Smith said: ?Gardenex has been essential for the development of Trimetals? export success over a number of years. ?Access to its overseas buyer database has been invaluable to enable us and our distributors to identify partners and develop sales opportunities. ?The Federation has numerous contacts throughout the world that have been nurtured for many years. Its designated professional team, that organises and attends international shows, ensures that UK exhibitors have all the support they could possibly require?. The Queen?s Award accolade, comprising a crystal bowl and certificate, will be presented by the Lord Lieutenant at the Trimetals’ offices in Blandford Forum, Dorset, and two of the company?s representatives will be attending a reception at Buckingham Palace on 14 July 2016. ?We are delighted and thrilled to receive the 2016 Queen?s Award for Enterprise – the UK?s highest accolade for business success. ?It is a great testament to the hard work of everyone at Strata to win this prestigious award and it is fantastic that our success in this area has been recognised.? A few years ago we started to steadily build our export sales and the growth in this area has really taken off in the last three years with overseas earnings increasing by 132 per cent.? The majority of these sales have been into Northern Europe, mainly in France, Germany and the Benelux region but we have also had success in many other countries much further afield including Australia, Japan, South Korea and South Africa to name a few. ?The Gardenex federation has provided invaluable support to us in the form of assistance with overseas exhibitions, including spoga+gafa in Germany and the National Hardware Show in the USA.? We also attend the federation?s ?Meet the Buyers? events at every opportunity and these have resulted in us acquiring long term customers.? The events are a great way to get our products in front of prospective buyers who we wouldn?t be likely to meet otherwise. ?It is a great source of pride at Strata that the products which we make in our factory in Nottinghamshire are being shipped all over the world and that we are able to demonstrate that certain areas of British manufacturing are not only still alive and well but actually thriving and able to compete in a global market place. ?One of our attributes is to be able to develop good quality niche products such as our decorative garden planters and our large heavy duty storage trunks, which help differentiate ourselves in what is a crowded market.? 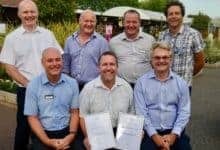 In congratulating the two member companies, the director general of Gardenex, Amanda Sizer Barrett commented: “We receive reports on a daily basis of export successes achieved by our member companies, and are confident that more firms in our sector will be recognised in future years.? We are privileged to work with such entrepreneurial firms and to play a part to help them achieve success.? Our whole team congratulates everyone at Trimetals and Strata on their dedication, hard work and enterprise in winning such deserved recognition and the reward of the prestigious Queen?s Award.? Gardenex is a division of the Federation of Garden and Leisure Manufacturers Ltd, the trade association that works on behalf of British companies to help its members increase sales worldwide.